Fei Xiaotong (1910-2005), who died on Sunday in Beijing, is best remembered for his passion for sociology and anthropology. He gave "Chinese substance to the modern social sciences and applied them rigorously to the needs of China and its people," according to the board of trustees of the Ramon Magsaysay Award for Community Leadership, which chose Fei to receive the 1994 award. The honour is based in the Philippines. Born into a well-off family, Fei, however, saw with his own eyes the ills of Chinese society in the early 20th century. He started college majoring in medicine but then changed his mind. The world is a richer place for his decision. "I abandoned the lifelong aim of treating people's physical diseases and went after the greater goal of curing social illnesses and injustice. That was when I first had the idea of becoming a sociologist and an anthropologist," he recalled in an interview with Song Huaisheng, a freelance writer who published a profile of Fei in China Daily three years ago. 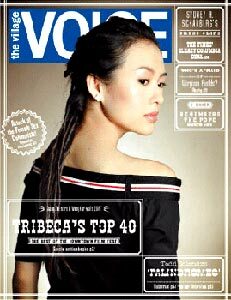 "My goal in life (after that), which has occupied me for decades, is to understand Chinese society, figure out its fundamental characteristics and those of rural Chinese society in particular," Fei said then. Fei lived up to those goals, said Jing Jun, a sociology professor at Tsinghua University who directs the Centre for HIV/AIDS Studies. "He was always concerned with the lives of common Chinese people," Jing explained, adding that Fei exerted strong influence in his own decision to choose sociology and anthropology as a lifelong career. Fei studied sociology at Tsisnghua University between 1930 and 1935 and furthered his studies at the University of London where he received a doctorate. He later completed a fellowship at the Royal Anthropological Institute, also in London. However, the social sciences of anthropology and sociology then emerging in the West offered experiences only about colonized "natives." "China has to find her own way," to speak to the practical needs of the Chinese people, Fei said. He had the imagination to develop his own new approaches. "He didn't allow just paying lip service," Jing Jun said. "He encouraged field trips and substantial research." He did his first field work in the mountainous area in what is today's Guangxi Zhuang Autonomous Region, where the ethnic Yao people lived. He wrote "Peasant Life in China" in English in 1938. His earlier field work in Kaixian Village of Wujiang County in East China's Jiangsu Province in 1936 has become a textbook for all sociology students. There, he jotted down the sufferings of peasants who depended on rice farming and silk weaving for their livelihoods - and whose fates depended on the whims of the world market. As a result of falls in the prices of silk, many peasants saw their lives turn to shambles. During the War of Resistance Against Japan (1937-45), Fei taught at Yunnan University and continued his research. He stridently called for "an effective land policy" but warned that land reform alone would not improve the lives of the peasants. He was at his prime in the late 1940s, when he published a series of studies on Chinese society. Although he was not able to carry out many sociological studies in the first 30 years after the People's Republic of China was founded, he conducted studies among China's ethnic minorities. He also translated works by foreign writers. As the nation began its reforms and opening up to the outside world in the late 1970s, Fei was entrusted with the work of restoring discipline in the study of social sciences after the "cultural revolution" (1966-76) ended. "Restoration of sociology after the 'cultural revolution' is Fei's most important contribution in terms of his academic work," said Wang Sibin, professor of sociology at Peking University. At that time, Fei was nearly 70. He sought help from Yang Qingkun, his classmate from Yeching University then living in the United States. He also introduced American scholars of sociology and anthropology to Chinese academia, helping to re-establish the entire field of sociological education and research during the early 1980s. His theories have not only helped people understand rural China but also offered ways to facilitate changes, many have said. In the 1980s, he proposed that farmers be encouraged to start village enterprises and become urbanized without leaving the land. His theories, to a large extent, helped push the development of township enterprises in China, Wang said. The economic miracle that has taken place especially in rural coastal areas is a testimony to Fei's efforts, Wang said. 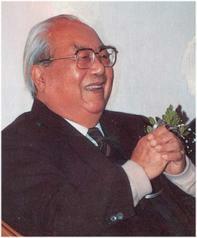 Fei's lifelong endeavours won him international acclaim, including the Malinowski Prize from the International Applied Anthropology Association and Huxley Memorial Medal of the Royal Anthropological Institute in London in 1981, the Asian Cultural Prize from Japan in 1993, and the Ramon Magsaysay Award for Community Leadership in 1994. Over the years, Fei arguably provided initial knowledge about China for the scholarly world. His book, "From the Soil, The Foundations of Chinese Society," is listed as recommended or required reading at universities worldwide for students who take courses in China or Asian studies. The book was published in 1947 in Chinese, but its insightful analysis of the fundamental characteristics of Chinese society and the differences between Chinese society and that of the West continues to illuminate. The official website at the University of California Press describes the English version of Fei's book as follows: "'From the Soil' describes the contrasting organizational principles of Chinese and Western societies, thereby conveying the essential features of both. "Fei shows how these unique features reflect and are reflected in the moral and ethical characters of people in these societies. This profound, challenging book is both succinct and accessible." Gary G Hamilton, a professor with the Sociology Department at the Jackson School of International Studies at University of Washington, translated Fei's book into English. "I am very sorry to hear about Fei Xiaotong's death," Hamilton said. "I loved the book very much, when I read it the first time," Hamilton said in an interview with China Daily via email yesterday, "I knew I had to translate it into English." After the work was completed, Hamilton came to Beijing to see Fei. "We sat for several hours talking about the book. I asked him what the title should be in English. 'Xiangtu Zhongguo' does not translate well into English," Hamilton explained. "In the course of the conversation, I said the book's main message is that the Chinese come from the soil. Fei said, 'That's it. That is the title: 'From the Soil'," Hamilton recalled. "He wrote the book for a Chinese audience to tell them about the distinctiveness of Chinese society, to tell them the reason Chinese society was so special," Hamilton said. "To do this, he took his knowledge of Europe and the United States and condensed it and made it contrast with the reality of Chinese society. "It is through this book that many Westerners can now learn about China," Hamilton noted. Laurel Bossen, an associate professor of the Department of Anthropology, McGill University in Canada, said that for decades Western scholars "have turned to Fei's works for a rich description of rural Chinese life before 1949. "His works are clearly written, unpretentious, and very sincere. Fei explained how he did his research, and he talked about many important social questions. He was deeply concerned about poverty in rural areas, and tried to do research that could point to practical solutions." Bossen said she first read Fei Xiaotong's books when she wanted to learn more about rural China, particularly the status of women, before 1949. "Remarkably for those times, Fei Xiaotong always provided quite a lot of information about women and particularly their economic roles," Bossen wrote to China Daily via email. "His work was extremely valuable for those who want to study changes in rural China across the 20th century. Without Fei Xiaotong's work, we would have almost no starting point." She wrote her own book "Chinese Women in Rural Development: Six Years of Change in Lu Village, Yunnan" (2002), which was translated into Chinese last year. Bossen was able "to make comparisons with the past only because he (Fei) provided such an excellent description of the economic and social conditions at that time. "I feel that my own research is a kind of friendly dialogue with Fei Xiaotong, whom I have greatly admired." She had an opportunity to meet with Fei once in Beijing, and talked with him about her study of Lu Village in Yunnan. "He was generous and encouraging, as well as charming and humorous," she recalled. 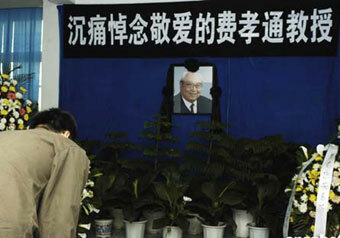 "Elderly villagers in Yunnan also remembered his visit in 1990 with fondness. He witnessed and wrote about a century of tremendous changes in China, and promoted greater understanding of rural China at home and abroad. He will be missed, but not forgotten," she said. "I hope people in the West will read it for a long time to come. It is a book that forms a bridge between Chinese society and Western society, and it is a bridge sorely needed," said Hamilton.